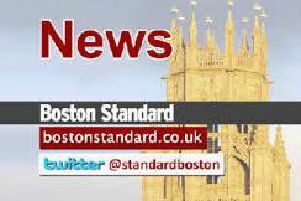 A Boston Borough Councillor has criticised what he calls an “undemocratic” decision by the authority to stop recording meetings. Bostonian Independent Group member Brian Rush is calling for a “full investigation” into the change. The council has been recording meetings since around the end of 2013. Previously copies of recordings could be requested – particularly under Freedom of Information. Councillor Rush has himself asked for recordings, and believes part of the reason was due to his requests. He said the move was the “undemocratic treatment of councillors attempts to properly hold senior officers to account”. A council spokesman said the decision was due to operational and resource issues, adding this would not stop others from taking recordings. They said: “The Council does not have a legal duty to record meetings, and following changes to legislation anyone may record a meeting of the council. They said a review would be taken in 12 months to see if there had been any negative outcomes as a result.